Select the desired control type here. Here, you can define which value of the current element should be displayed. The element displays the defined default values. 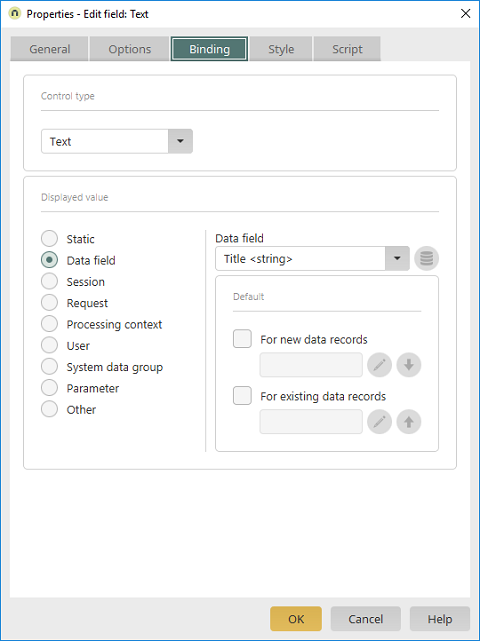 Select the desired data field. Data fields from parent data groups are shown in italics. Opens a dialog where a data field from a parent data group can be selected. In each case, enter the name of the request, session variable or variable from the processing context, whose value should be displayed. A data field from the User Manager can be selected as the displayed value. 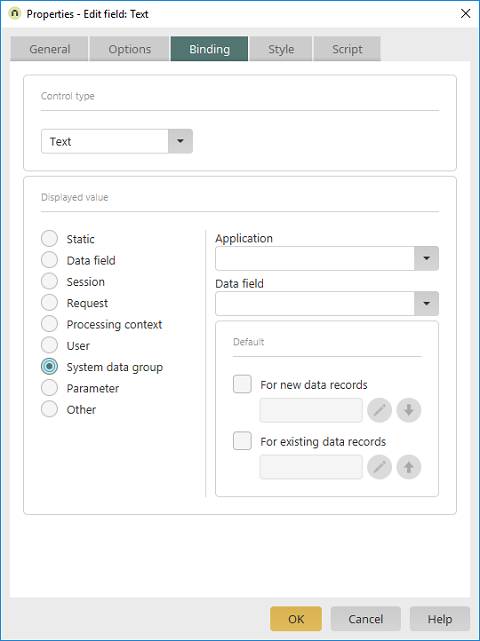 Select the application that contains the system data group. Select the corresponding data field. The parameters that the page requires can be selected here. Default values are used if the binding does not return a value. For checkboxes, the settings for the default values are not on the "Binding" tab but on the "Options" tab. 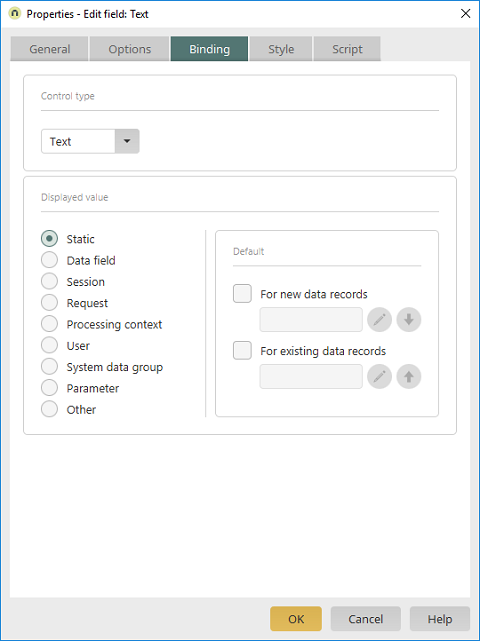 With these settings, default values can be defined for new or existing data records, respectively. Opens a dialog in each case where the default value can be defined. Transfer the respective defined default value to the other setting.